Are you excited to start doing some serious hiking? Gathering your gear and making your checklists are the first step to a successful hiking excursion. Among your gear lists, you may want to include some type of hiking GPS system such as the Garmin GPSMAP 64s Handheld Navigator which is a perfect unit for serious trekking. In this article, we will cover some useful features and tips that you should make note of as you research the best GPS navigational system for your own hiking and camping needs. There are many great models to choose from and knowing the best requirements for you can aid you in the process of selection. Firstly, you will want to take into consideration the location where you will be using the GPS system. Unlike road or water travel, hiking routes require a GPS unit that is highly sensitive due to the extreme variance of outdoor conditions. While hiking you will encounter deep canyons and dense tree coverage so you want to be sure that the system will be able to work in these types of scenarios. For best signal, you should be sure to get a GPS model that includes at least a 12 channel chipset to see you through any type of terrain and circumstance. Another big consideration for your hiking GPS is the weight and size of the system for obvious reasons. You do not want a unit that is bulky or one that will weigh you down in any way. The Garmin 60CSX GPS mentioned above, is a great example of a handheld system that you will want to check out for yourself. There are many handheld GPS models available from well-known companies such as Garmin, Lowrance and Magellan to name a few brands for you to consider. Also for obvious reasons, you will want a GPS unit that has a long battery life. The last thing that you will want it to be stuck out on the trail somewhere far from base relying on a GPS system that now has a dead battery. You will certainly want to always be sure to carry extra batteries for that exact situation. Consider what, if any, mapping capabilities that you would like your GPS system to have. Many include basic mapping and the option of purchasing add-on maps and different types of mapping software options are also available with many units. Durability and a waterproof model should definitely be considerations for the avid hiker as you want something that will stand the test of time and all weather conditions that you may encounter. 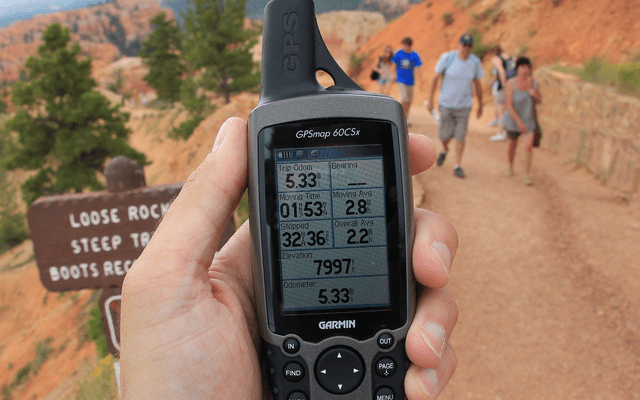 Many of the handheld GPS units, such as the Garmin 60CSX, mentioned in the article are very rugged and popular for trekking because of the endurance capabilities. Be sure that your system has enough built in memory to fit your needs. Typically a system will be able to hold a specified number of waypoints and saved routes, but many of the systems also include optional add-on memory capabilities. Be sure to do your research while shopping for the perfect system to suit your needs. Whenever possible, it is a great idea to be able to test a unit in the store before actually purchasing and heading out on your first hiking adventure with the GPS system that you choose.